She Says So is a speaking program created by professional speakers Cath Vincent and Diana Thomson. The course is designed to equip you to gain confidence in public speaking by learning in a supportive environment. Whether you want to get that promotion or simply stop feeling nervous, this is the perfect programme for you. Cath and Diana have teamed up, combining their decades of speaking and mentoring experience to create a programme and environment that will help you be at your best while speaking. Women have voices, but many are not use to or they are hesitant to use them. If you are tired of being scared of speaking up at meetings, or not having your say at community events, join us and see if this is the place where you find that self confidence you always wanted. The She Says So Speaking Communityis the new way for women to gain confidence, learn public speaking skills, find their voice and truth , maybe even change the world! View the She Says So Web Page. Join Diana Thomson and co leader Cath Vincent at our fantastic venue, Studio 38 at 38 Airedale Street in the central city on a Wednesday night (fortnightly meetings so check with us). We are excited to provide you with an affordable, supportive and holistic approach to public speaking. Come along for a "looksee" to find out more, check us out on the She Says So Facebook page or enrol and secure a place. You're asked to present at a large meeting or conference. No is out of the question, but you are already loosing sleep over the idea of it!! You know you're "stuff" but that isn't the problem. It's when to start preparing and what structure to use, where to stand on the stage, what to do with the microphone, how to get the slides to work. I have been there and thankfully we can help. Speech Marks Coaching and Gavin Rugg of Presenters Toolbox give the ultimate practical presentation skills workshop. A more engaged audience that remembers you for all the right reasons! Giving you the confidence to speak up and participate in business. Whether you are a business manager, owner or starting out in the business world, you need to network and tell people about your what, why, who and how. It needs to be clear, concise and memorable. You will also need to be able to answer questions confidently, clearly and completely. All these need basic public speaking skills. This course is for women that want to improve their everyday communication, find their strengths and make rapid improvement that they can apply immediately. Dates are to be scheduled for this course in 2019. Email Diana@speechmarks.co.nz to find out more. A workbook with your new "Elevator Pitch" a longer "One minute Promo" to re use and later as you need it. You will get all the Speech Marks Quick Tip Cards to help you focus. Have a speech planning template for your longer speeches. We have all heard of death by Powerpoint but still fall into the traps. If you don't know where to begin or how to make the slide look good this live workshop will highlight the Dos and Don'ts. Great for people doing a deck for customers, as a guest speaker, or for their team. Its focus is on the practical aspects more than pretty fonts and graphics. What are the outcomes from this course? Leave with a head full of ideas, practical tips, and the start of a new slide deck. You will be ready to present your ideas with the support of a slide deck that enhances your message and makes it more memorable. Have alternatives to the standard bullet points or better still none at all. You will be confident that your slide deck supports your speech and that you can deliver it without turning your back to look at the screen. You will also be ready for many of the frequent problems and how to avoid them. Do you hate getting up in front of lots of people as they stare back, waiting for you to say something and you can't get the words out? Stop being a scary-cat and get rid of those excuses. This live, group workshop will nurture you through the process of finding your voice and overcoming the fears of stage fright. By the end of it you'll feel prepared and have the confidence to shine while giving your speech. When you've finished you'll find your audience engaged and ready to take action. This workshop is for women who want to speak at work events, or as guest speakers at community or school groups, and fundraisers. 3. Understand how to engage in an emotional journey of your audience so that you satisfy their hearts and their minds. 4. Be clear on what your goal is: what do you want your audience to think, feel and do? 6. Using storytelling to bring the audience with you in a way that is meaningful to them. 9. Bring it together as one fabulous presentation that inspires insight and action. How will you benefit from the workshop? Are you ready to do workshops or improve a presentation? still nervous or not sure where to stand and how to make the most of the PowerPoint? 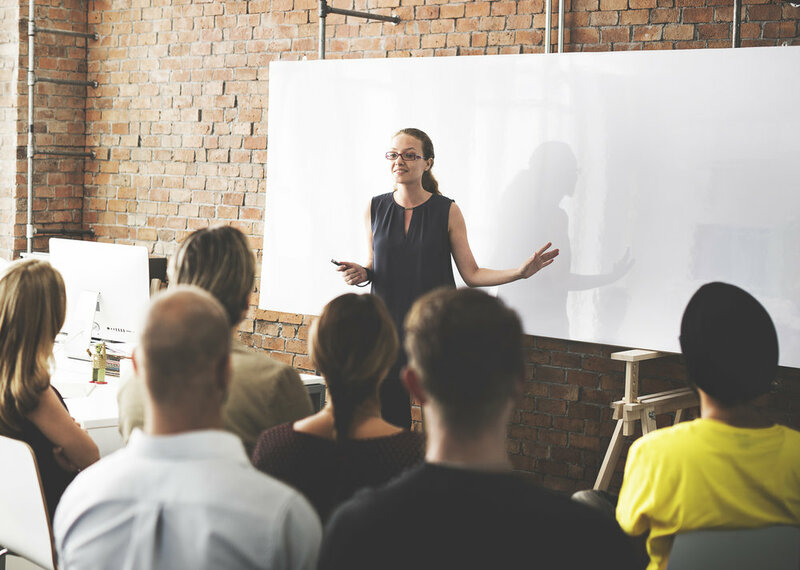 After this course you will be more confident and ready to take on longer speeches and presentations. What will you get in the workshop? • Connections with other women. You are in the business of speaking to people ! The is the Public Speaking essentials for Network Marketing (MLM) business owners. It is a two hour presentation or mini workshop session. This is also a great session for groups that want to learn more about Networking and how public speaking basic skills can be used to build up confidence. With over 20 years experience in different Network marketing companies Diana has seen how people make basic mistakes. She knows that those business will fail unless you can up your brave and speak to everyone about the opportunity. This workshop isn’t run publicly, it is by appointment only. Small groups are fine. Diana understands the need for it to be accessible and cost effective. If you are growing your MLM or Network Marketing business and want your team to step up this is a great workshop for them. Just email Speech Marks for more information.